Favorit Jane Austen movie/mini series adaptation? Which new version of the Disney classics was better? Post a pick of Du fav actor with a hat on!!! What is your fav Stallone movie? What is your fav Disney Movie? Post your fav pic of Rocky from any film! This is the moment an incredibly cute baby gorilla appeared to collapse in a fit of giggles when an adult started ticking his tummy. Five-month-old Jengo was being showered with affection Von the other gorillas in his enclosure at Leipzig zoo in eastern Germany when one of them reached out and gently prodded him on the ribs. Displaying an almost human response to the sensation, Jengo's eyes lit up with joy and his mouth broke into a huge grin as the adult gorilla played with him. In his brief career to date, actor Ben Whishaw has made a big impact. He’s best known to theatregoers for taking the Titel role in Trevor Nunn’s award-winning production of Hamlet at the Old Vic in 2004, for which he was nominated for Best Actor honours in the 2005 Laurence Olivier and Whatsonstage.com Theatregoers’ Choice Awards and Outstanding Newcomer in the Evening Standard Awards. Pinewood Studios continues to invest in its facilities and the latest offering for clients is a brand new, state of the art facility for both film and Fernsehen production. The new stage is named ‘Q Stage’ and was formally opened Von Ben Whishaw, the latest actor to play the famous Q character in the Bond franchise. The development comprises a 30,000 sq ft stage and 15,000 sq ft of production accommodation and workshops. Pinewood’s newest stage was completed on 27 September 2013 and the first production to Bewegen in is a large, inward investment film. Ben Whishaw’s turn as hi-tech boffin Q in the new James Bond film Skyfall is Merida - Legende der Highlands new territory indeed, he tells James Rampton. They're known for their pale complexions as Lady Mary and Lady Edith in Downton Abbey. So for this year's Golden Globes, Schauspielerinnen Michelle Dockery and Laura Carmichael decided to match their fair skin with pale gowns. Michelle wore a strapless, sequinned Oscar De La Renta prom dress with raised hemline Wird angezeigt off her matching satin heels. The pair were just two of the ITV period drama's cast to attend the star-studded ceremony at the Beverly Hilton, where Downton is up for Best TV Drama. The adorable cubs may look cute and unassuming but they are in fact the rarest of their species – and could grow to be the biggest Katzen in the world. The four handsome male ‘liger’ cubs are the first ever to be born from a white male lion and white female tiger, making them the world’s most unique big cats. There are only around 300 white lions and 1,200 white Tiger left in the world, so the cubs’ father, Ivory and mother, Saraswati, are extremely rare in their own right. Mehr pictures of my Favorit actor/singer/model. 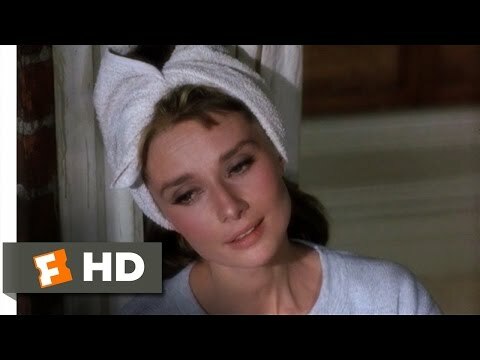 a comment was made to the poll: best Audrey Hepburn movie? a poll Wurde hinzugefügt: Favorit Jane Austen movie/mini series adaptation? Is her real-sister on fanpop?